When Sam Allardyce was appointed as the Crystal Palace boss just before Christmas, the Eagles were placed 17th in the Premier League. The former Sunderland and West Ham boss has a reputation for achieving positive results when he joins a club mid-season, but life at South London wasn’t easy for him initially, as he managed just four points from the first eight games at the helm. After making some shrewd signings in the Winter transfer window, however, Allardyce has rebuilt confidence and managed to get the best out of the players he already had. 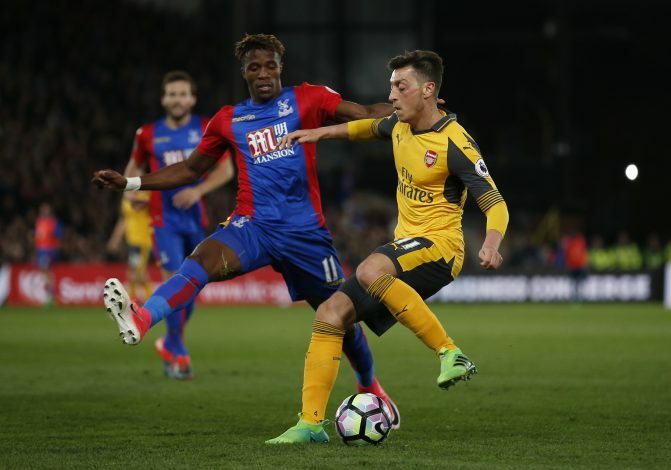 One of those players is Wilfried-Zaha, who has been in incredible form so far, scoring six goals and nine assists to his name. In fact, the 24-year-old was instrumental in his team’s success against big clubs like Chelsea, Arsenal and Liverpool. Zaha’s impressive performance in the current season have caught plenty of attention, with Tottenham Hotspur leading the race to sign the former Manchester United man in the summer. But despite the huge interest from the North London club, Allardyce has claimed that the Ivory Coast international is worth more than £40m. “Personally, in today’s market, absolutely (he’s worth £40m). I just hope no one bids it,” the 62-year-old manager said in his press conference ahead of the crucial clash against Spurs. After Zaha left Crystal Palace to Manchester United for £15m in 2013, he had a torrid time at Old Trafford, as he failed to make a single Premier League appearance for the Red Devils, and soon left the club. Allardyce pointed out that instance, and believes that the winger has learnt a lot from those experiences. “I hope it’s not easy to turn Wilf’s head. Wilf himself is a mature adult now. He’s seen an awful lot of what happens in football from a very young age, experienced a glory move which didn’t quite work and then come back,” he added. Palace, who faced Spurs on Wednesday night, failed to add Mauricio Pochettino’s men to their list of recent big scalps, as they were beaten 1-0 at Selhurst Park. Wilfried Zaha, who made his 254th appearance for the Eagles on Wednesday, produced yet another scintillating performance for his side by creating a lot of problems to the Spurs’ defence on the flanks. Written by Pragadeesh Shanmugam. Tweet to get in touch with him.